South LA Homeless TAY & Foster Care Collaborative Monthly Meeting – Today! Meeting Purpose: Reflect on strategic plan accomplishments and update the community on various important issues impacting homeless youth. 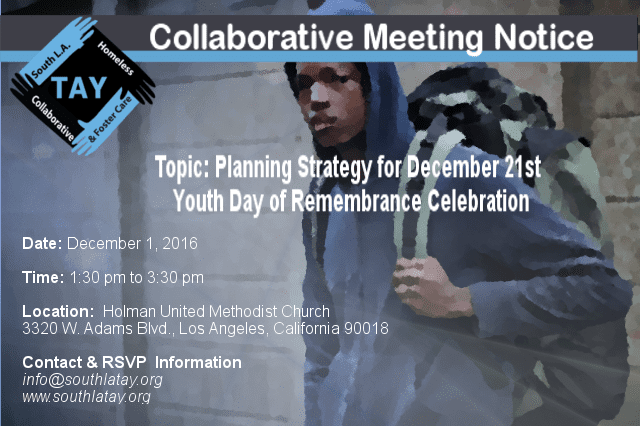 Collaborative Monthly Meeting	TAY Winter Shelter Opens December 8, 2016 in South L.A.